October 2018 marks the 50th anniversary of John Carlos' Black Power salute at the 1968 Mexico City Olympics. Carlos, a former resident of the Harlem River Homes, alongside his teammate Tommie Smith's action brought to the foreground America's deep rooted racism to an international audience. 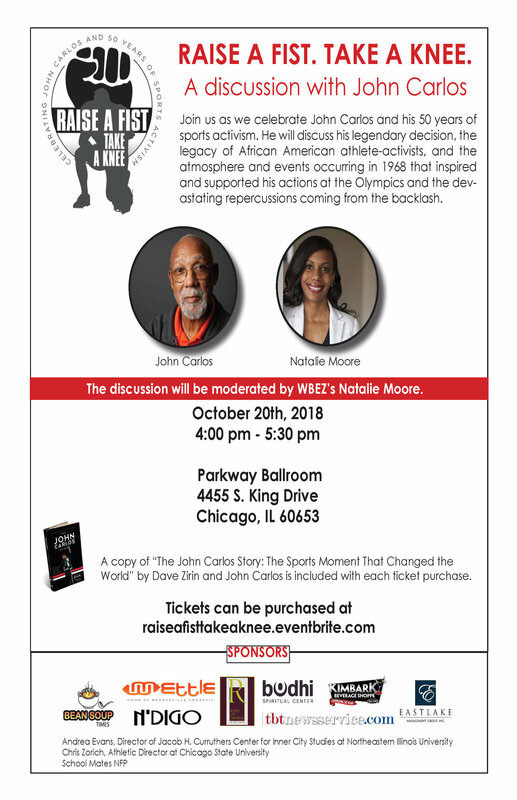 This Saturday, October 20, John Carlos will speak at the Parkway Ballroom to discuss his decision to use his platform to fight against racism, as well as the aftermath of his action. A copy of "The John Carlos Story: The Sports Moment that Changed the World" is included with your ticket purchase. You can purchase your ticket for this informative discussion here.